The Ferrari 360 was offered as a convertible about 18 months after the introduction of the Modena and accounts for nearly half of all 360’s sold during the production run. 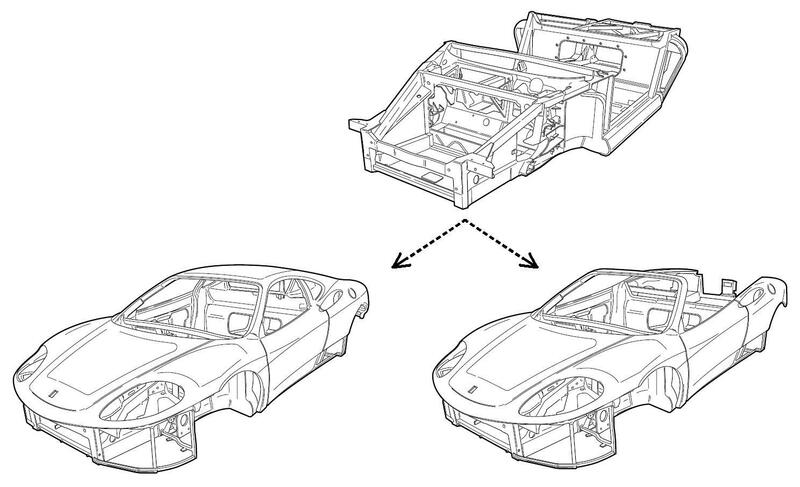 The 360 chassis was designed with a convertible version in mind from the outset and is identical between the two models – the 40% increase in rigidity over the outgoing 355 was achieved without any contribution from the roof. As a result the Spider weighs just 50kg more than the Modena. Unlike the 355, the Capote (or hood in English) is a fully automatic electro-hydraulic unit. 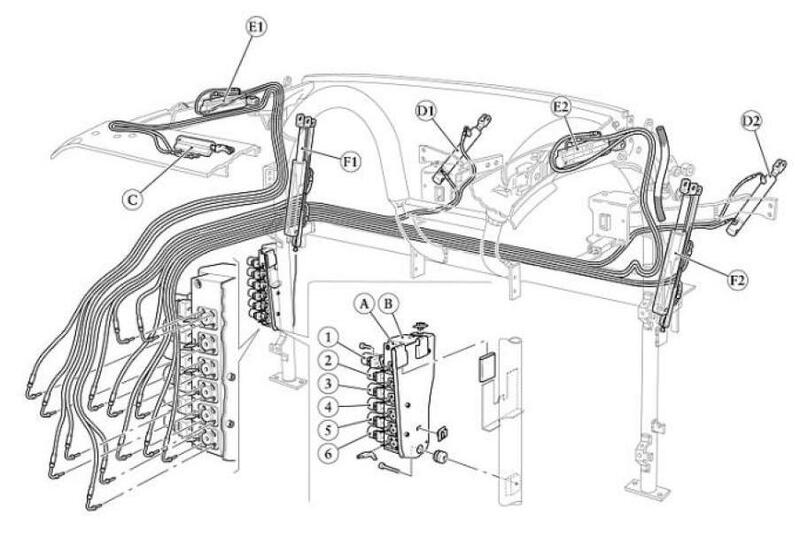 The entire unit is an independent part, often called a cassette, and was manufactured by CTS Fahrzeug-Dachsysteme, a subsidiary of Porsche AG at the time. The fabric material is made by Haartz Corporation and is called Twillfast® RPC (thanks to Tom for digging that nugget of info up). The roof mechanism had three updates during the model run. Two were fairly minor in that the arrangement of some of the stretch cables which hold the the fabric to shape were changed. The first of these updates happened very early on at assembly number 40327 and the second at AN 42510 (2001). However, there was a very important update at AN 41464 (2001). Due to its position, the roof cassette covers the forward area of the engine bay, in particular the fuel tanks. Prior to this update, the roof mechanism had to be removed in order to perform a number of operations. The update was to provide some access panels in the cassette so that certain parts could be reached with the roof in situ. 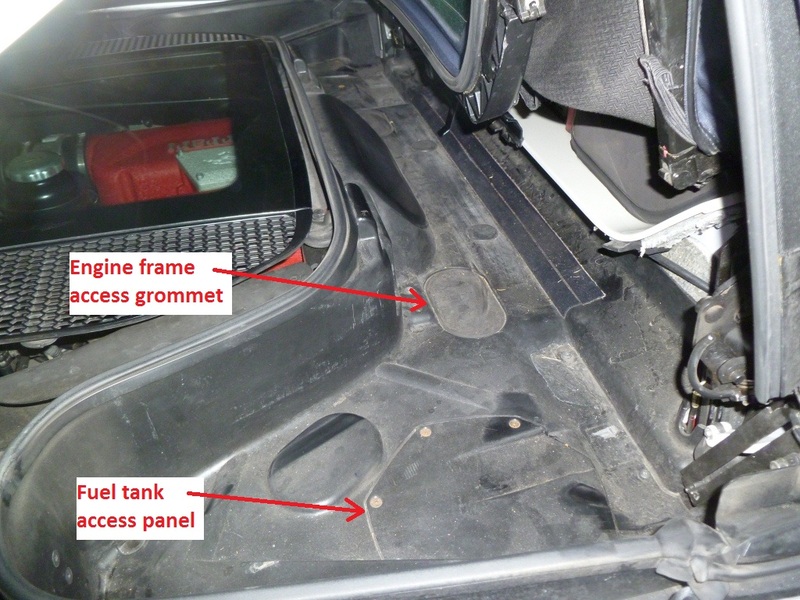 This has two important ramifications for 360 owners, the first concerning the access to the fuel tanks. The removal and refitting of the roof cassette has a book time of nearly nine hours so the replacing a fuel pump gets very expensive if you don’t have the access panels. The second concerns the silver gearbox support frame (shown below). The forward mounting points of the frame are under the cassette and it needs to be removed in order to access the mounting bolts. 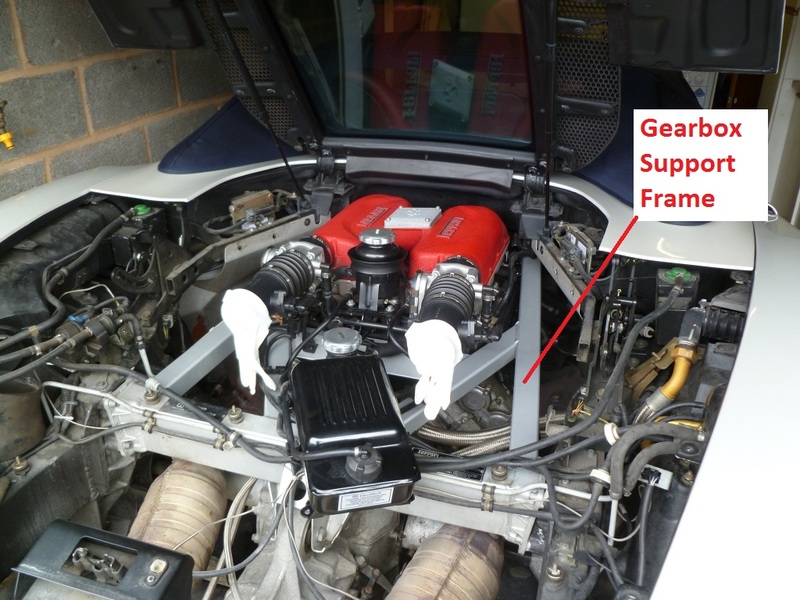 The frame needs to be removed if the gearbox mounting bush needs to be replaced (a common problem). 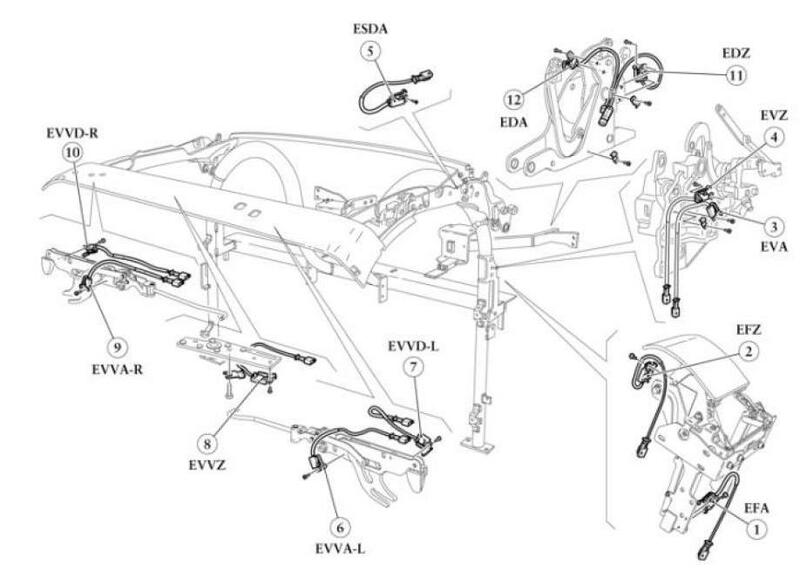 It also helps to have the frame out of the way when removing the gearbox (eg: for a clutch change). It is possible to get the transaxle out with the frame in place but it takes longer and thus costs more. Finally, I thought I’d share these pictures of roof cassettes removed from the chassis. Note: These aren’t my photos but I cannot remember where I obtained them from and therefore I cannot reference them at the moment. Click any picture for a larger version/slideshow. Thanks for your kind info its really helpful. Those are the hydraulic rams, part numbers 66453900, 66453800, 66454300 & 66454200. Available new from your Ferrari dealer. If you’d like to try used parts I think Nick at ASF Ricambi has some – link. This is SO helpful. Thank you! !